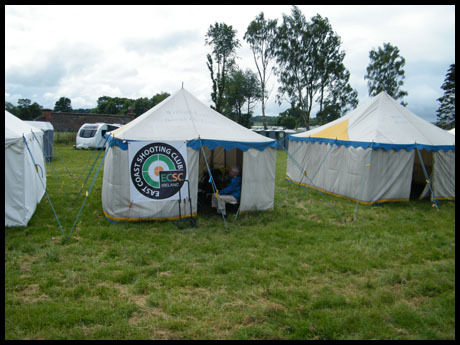 A group of target Shooters from East Coast Shooting Club attended the Scottish Week in LAUDER near Edinburgh from 27 June to 4th July 2014. We were also joined for the week by a member of Dublin Rifle Club. 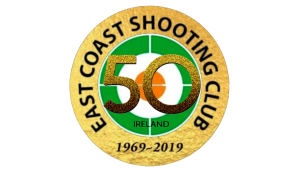 There were approximately 300 participants over the week with shoots at 50 mtrs and 100 yds, there were between 4 and 6 competitions each day and the team shot on all but one day. Unfortunately we did not end up in the prizes but the experience was great. It is quite a sight to see over 100 people on the firing line and all changing targets at the same time, when one compares it to our 10 to 12 place ranges, it should be added that this range with in excess of 100 firing points, was only temporary. 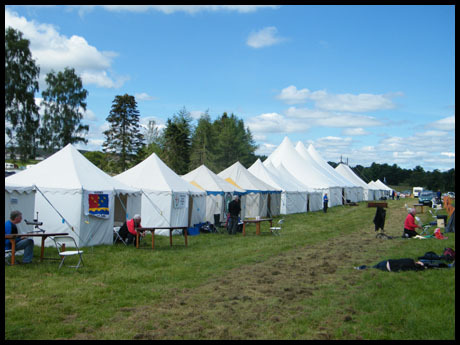 We met a number of local Scottish UK and Welsh shooters and lots of tall stories were exchanged. 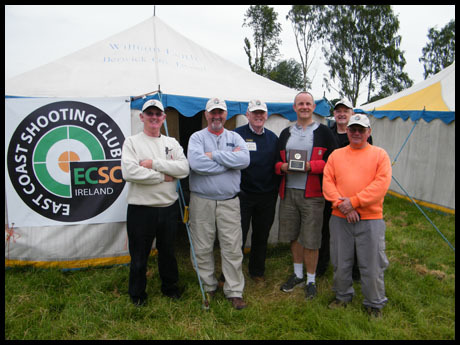 A plaque was presented by EAST COAST to the chairman of the local Silkirk Club who were hosting the Shoot. They were very pleased to receive the plaque and thought it was a very nice gesture on the Club’s behalf. Although we came away empty handed it was the general opinion that the trip was well worth while and could be a venue for next year with a bit more advance practice.